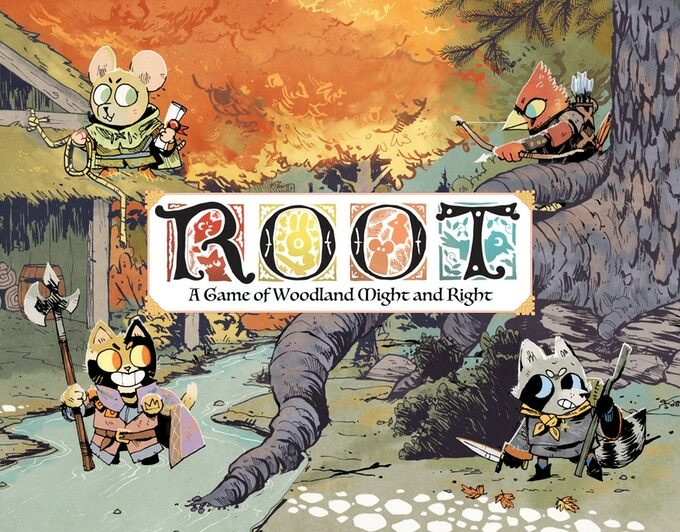 Root is a game of adventure and war in which 2 to 4 (1 to 6 with the ‘Riverfolk’ expansion) players battle for control of a vast wilderness.The nefarious Marquise de Cat has seized the great woodland, intent on harvesting its riches. Under her rule, the many creatures of the forest have banded together. This Alliance will seek to strengthen its resources and subvert the rule of Cats. In this effort, the Alliance may enlist the help of the wandering Vagabonds who are able to move through the more dangerous woodland paths. Though some may sympathize with the Alliance’s hopes and dreams, these wanderers are old enough to remember the great birds of prey who once controlled the woods.Meanwhile, at the edge of the region, the proud, squabbling Eyrie have found a new commander who they hope will lead their faction to resume their ancient birthright. The stage is set for a contest that will decide the fate of the great woodland. It is up to the players to decide which group will ultimately take root.Root represents the next step in our development of asymmetric design. Like Vast: The Crystal Caverns, each player in Root has unique capabilities and a different victory condition. 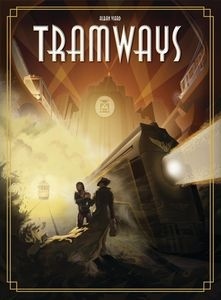 Now, with the aid of gorgeous, multi-use cards, a truly asymmetric design has never been more accessible.The Cats play a game of engine building and logistics while attempting to police the vast wilderness. By collecting Wood they are able to produce workshops, lumber mills, and barracks. They win by building new buildings and crafts.The Eyrie musters their hawks to take back the Woods. 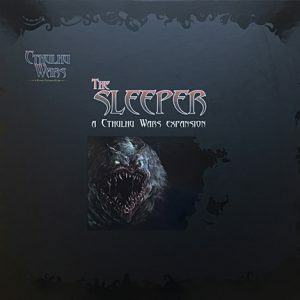 They must capture as much territory as possible and build roosts before they collapse back into squabbling.The Alliance hides in the shadows, recruiting forces and hatching conspiracies. 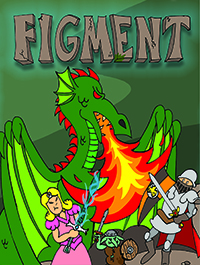 They begin slowly and build towards a dramatic late-game presence–but only if they can manage to keep the other players in check.Meanwhile, the Vagabond plays all sides of the conflict for their own gain, while hiding a mysterious quest. 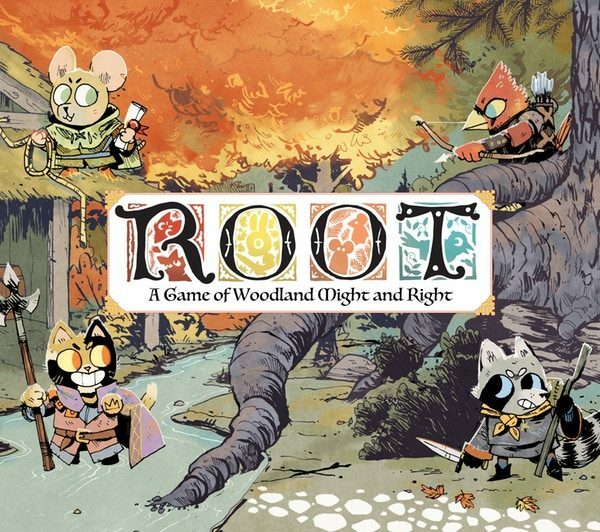 Explore the board, fight other factions, and work towards achieving your hidden goal.In Root, players drive the narrative, and the differences between each role create an unparalleled level of interaction and replayability. Leder Games invites you and your family to explore the fantastic world of Root!